Martin Scorsese is a force in the film world that cannot be denied. Almost every young filmmaker out there has been influenced by his work. He is a definite hollywood legend and The Departed is proof of this. He has received a lot of criticism for choosing to adapt a very successful Hong Kong cop thriller Infernal Affairs to be his next project with Leonardo Di Caprio. Perhaps he's run out of ideas, they say. That may be true. But as I saw the movie, I began to understand why he chose this route rather than use an original story. It was probably the mafia story each hollywood filmmaker wanted to make, the chinamen just beat them to the punch. Im just going to throw in a few bulletpoints to make it easier on both of us. > It has Scorsese's trademark fast scene sequences. You'll see what I mean. > The soundtrack is to die for. I was walking to the office today with the song Comfotably Numb in my head. > I expected more from Matt Damon. Vera Farmiga was a miscast. > Leo is the man. He outshone Damon for sure. > A lot of violence, but not as violent as Casino or Goodfellas, some of Scorsese's trademark movies. The story is the hero here. > In terms of loyalty to the original. Very loyal. More loyal than I expected. I was expecting Scorsese to make it his own. Surprisingly he did stay loyal to the original while making it his own. I remember some key scenes such as the hand cast scene and the climax as very close to Andrew Lau's Infernal Affairs. >Some trivia. 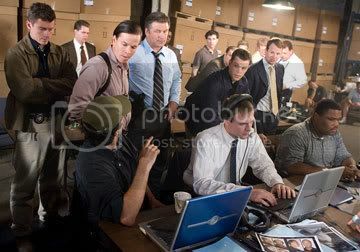 In Sullivan's (Matt Damon) new apartment, when his girlfriend (Vera Farmiga) movies in with her boxes of stuff, you can clearly see what he was watching in the widescreen TV on the background...Takashi Miike's shocker Audition! All in all, a great time at the movies and a great time for cynics. I for one am a very happy camper. Go see it. 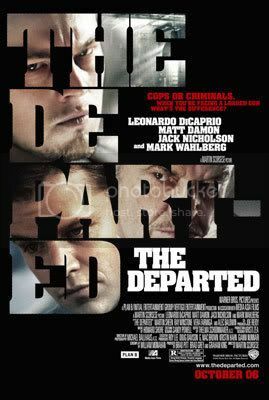 trivia: de niro was supposed to play nicholson's character, but begged off becuase of his film the good shepherd, where de caprio begged off for the departed. hollywood's running in circles..